The Most Exciting Things to Do in Sharm El Sheikh! As the entertainment epicentre of Egypt, SOHO Square boasts the best things to do in Sharm El Sheikh for guests of all ages. 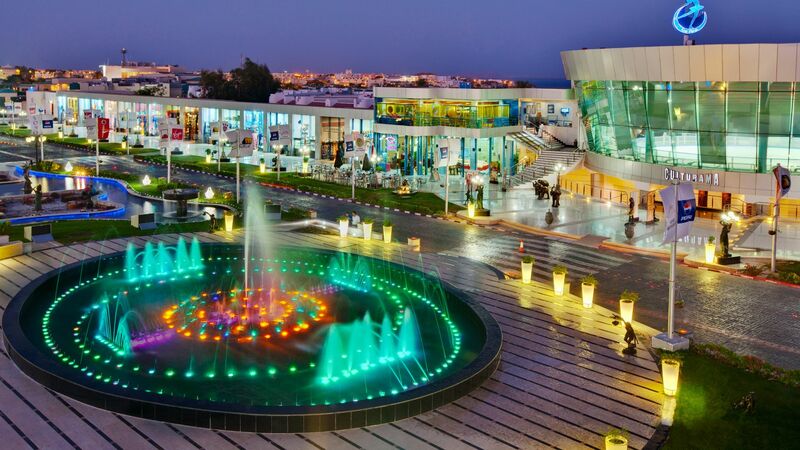 From fitness to cinema to leisure activities and performances, everything you want in a happening holiday to Sharm El Sheikh is here! Dancing Fountain – Sitting in the centre of SOHO Square, the dancing fountain attracts visitors from all over Egypt and the world with its dazzling displays and rainbow of colours. Unique combinations of spectacular theatrics set to music liven the fountain by day, and bright, colourful lights illuminate the fountain at night for a truly unique exhibition at all hours. Culturama – The largest panoramic cinema in Sharm El Sheikh and the world’s first multi-screen interactive show, Culturama takes you on an incredible journey 4,500 years in the making. The unique curved display immerses the audience for an unmatched viewing experience highlighting the rich history of Egypt beginning in 3000 B.C. through the modern day. Travel back in time and across the land to the ancient cities of Cairo and Alexandria as you visit Egypt’s most iconic temples, Coptic monuments, and Islamic sites in this epic cinematic masterpiece! Kids’ Zone – Boasting the best family activities in Sharm El Sheikh, SOHO Square is the place for fun with kids of any age. Children love the kids’ arcade, featuring age-appropriate video games, the Soft Play Zone, featuring a safe playground, ball pit, and slides, and the merry-go-round, fair rides, and carousel. Shopping & Bazaar – Take a souvenir from your holiday in Egypt when you visit the many shops at SOHO Square. 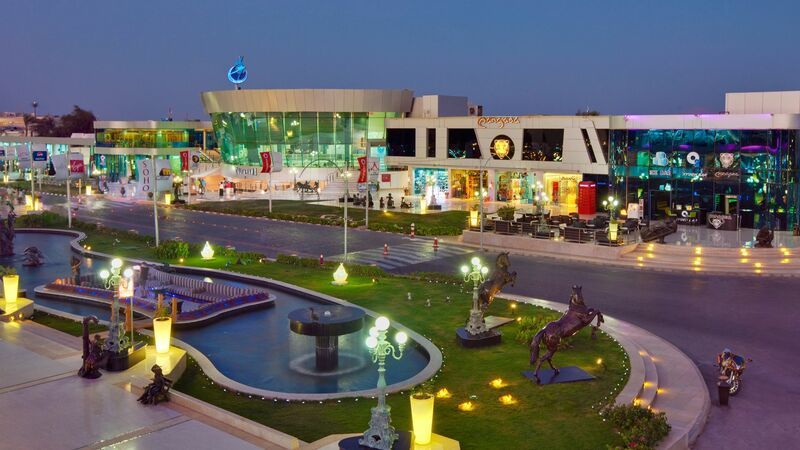 Featuring dozens of handmade crafts, locally designed goods, retail stores, and duty free, SOHO Square offers some of the most exciting shopping in Sharm El Sheikh. Be sure to visit the Khan El-Khalili Bazaar, one of the most unique of its kind, designed in the style of the Middle Eastern souk and offering a vintage shopping experience. Bowling – Test your skills at a game of bowling, featuring six professional 10-pin lanes, self-scoring machines, and a family-friendly atmosphere. Each lane comes fully equipped with ramps and bumpers for younger guests. Ice Skating – The ice rink at SOHO Square is the perfect way to beat the desert heat. Featuring public skating sessions, family hours, and special ice shows, ice skating at SOHO Square is delightful way to spend an afternoon. Sip on hot drinks or cocktails at the rink bar/café while the kids enjoy private skating lessons. Ask about Figure Skating School enrollment to take your skills to the next level! Tennis & Squash Centre – Designed to host International Tennis Federation tournaments featuring world-class international athletes, the Tennis & Squash Centre is also open to the public! Boasting the best indoor squash and tennis facilities in Sharm El Sheikh, the centre offers four flood-lit competitive sized tennis hard courts, plus a mini court for kids, as well as training and coaching programmes for players of all ages and abilities. The centre also houses two squash courts. Billiards – Featuring two full-size Snooker and Billiard tables, the most in Sharm El Sheikh, SOHO Square is the perfect place for a game of pool! Come with friends or make new ones when you enjoy a round of billiards at Queen Vic British Pub.